All Aboard! 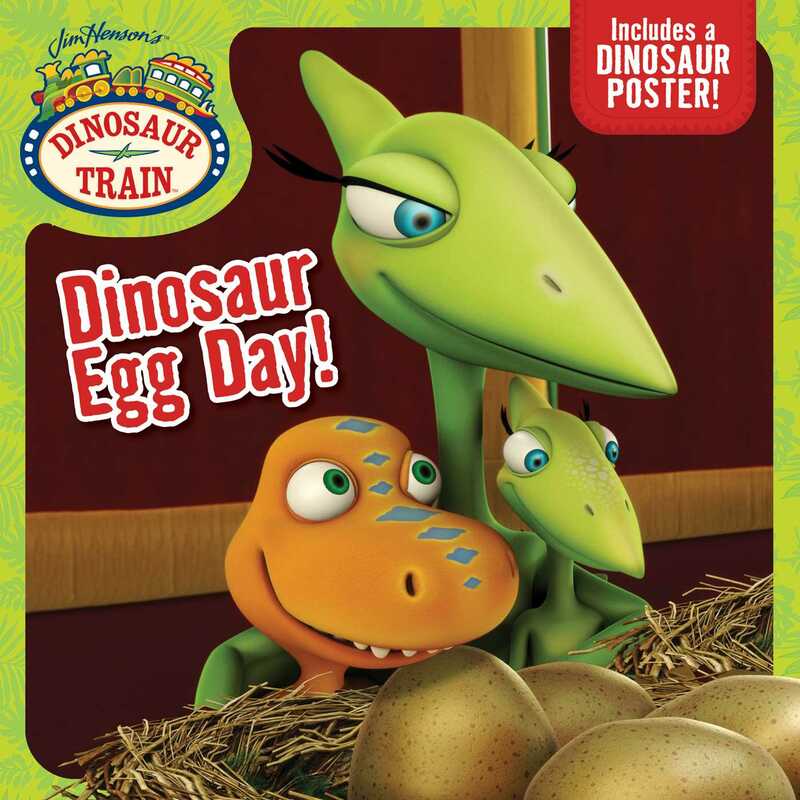 Join Buddy the T. rex and his adoptive Pteranodon family as they learn all about dinosaur eggs in this 8x8 storybook based on Jim Henson’s Dinosaur Train! Buddy, Tiny, and Mrs. Pteranodon visit the Dinosaur Train’s new Nursery Car and learn all about dinosaur eggs! Will they get to see one hatch? Find out in this charming storybook that includes data about dinosaur eggs and footprint fossils, plus a double-sided poster with silhouettes of dinosaurs on one side and an image of Buddy and his family on the other! Book Cover Image (jpg): Dinosaur Egg Day!